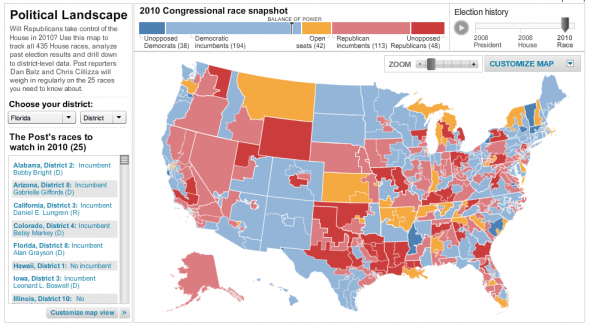 The Washington Post kicks off its 2010 election coverage with a well designed interactive map. I like the races to watch panel on the left side that gives you a good overview of what is interesting. Clicking on one of the races brings up more information and highlights the race on the map, which is nice. However I wish I could deep link to a particular race. Previous postHow would you spell a fart noise?